So, this is it. Your child will be starting big school in September – it feels like a long way off but in reality it is only a handful of weeks away. Maybe they have already been at a Nursery attached to the school for the past year, maybe they have been at a pre-school or a private nursery, or maybe they have been home with you, enjoying their last year as a pre-schooler. However, there is no resisting the march of time, and in a few short weeks your little one will be starting their school journey. I was surprised by how different Alex starting in Reception was to him starting in Nursery. Somehow it felt so much bigger and a little overwhelming! 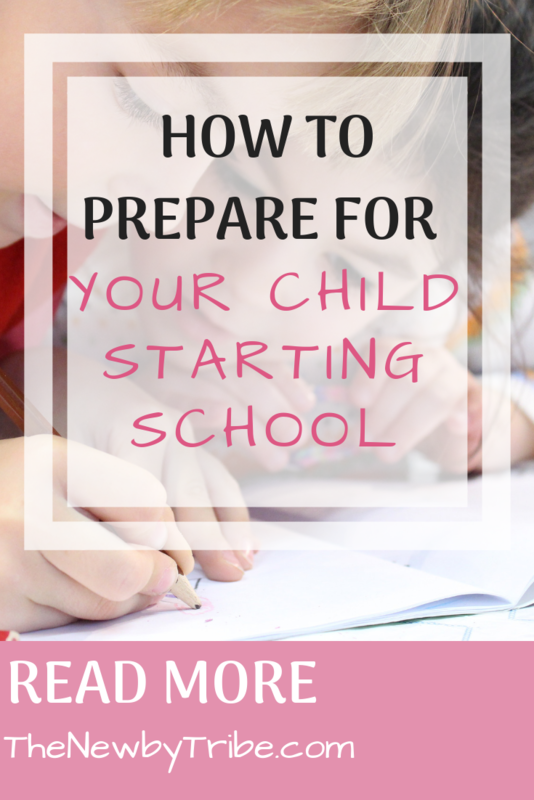 It can be a very emotional time, especially if this is your first child starting school, but aside from this, there are some practical things you can do to help you prepare for your child for starting school and to help things go much smoother. Disclosure: This post may contain affiliate links to certain products that we have used and recommend. Please note we will NEVER recommend products that we don’t like or haven’t used. By clicking on the link, we may receive a small commission from the company, but it will cost you nothing. Never underestimate the amount of paperwork and dates that schools will bombard you with in the first few weeks. Schools are very good (normally!) at getting dates out to parents, and they will display them on their websites. This is usually done term by term with some key dates (e.g start and end of terms, INSET (teacher training) days etc) given out in September. So as soon as you can, get the dates and put them into a diary or wall calendar. Don’t forget to include dates such as ‘World Book Day‘, assemblies or performances as these will come round surprisingly quickly and quite often you may need to throw together a costume or outfit for them! I would also suggest you use a pencil to fill in most of these dates (aside from start and end of terms) as schools have a habit of moving INSET days, performances, assemblies midway through the term. Also on that note, don’t be majorly surprised if things get changed to the week before or the week after you expect. The number of times we have booked time off work only to find out quite late in the week that there is a change beggars belief! But to put your mind at rest, mostly this happens with things that are weather related, such as Sports Days – but it’s always worth being prepared. There will undoubtably be a set uniform for the school. Different schools have different opinions on uniform but, in my experience, primary schools tend to follow the same uniform style. A coloured sweatshirt or cardigan with a school logo, a polo shirt (sometimes coloured) with a school logo, grey or black trousers/skirts/dresses, grey or white socks or tights and black shoes. My advice when buying uniform is to buy two or three jumpers/cardigans with the school logo on (you’ll be surprised how much paint/food the children manage to get onto their jumpers each day), and buy it a size bigger than you think. As for polo shirts, the ones with the school logo tend to be quite expensive and in all honesty you really don’t need them. I would buy one with a logo for occasions such as school photo day or assemblies, but buy the rest from a big supermarket chain as they are significantly cheaper! As for shoes, schools do tend to be quite big on making sure children are in black shoes. By this, they mean plain black without colours on it (and that includes coloured laces) although shoes that light up when the children walk never cause a problem. Shoes can be hugely expensive so buy them just before term starts to make them last as long as possible! You will also need : some form of PE kit (normally this is shorts and a t-shirt in specific colours, trainers, and tracksuit for the winter months), a book bag (unless you want to spend the money, don’t get duped into buying the one sold by the school – it’s alway more expensive for not as good quality!) and possibly a water bottle. For Reception the children very rarely need pencil cases, so don’t worry about purchasing anything else until the school asks for it! There are a few ways to do this that make it a bit of a doddle, and much easier than sewing on labels! One popular way is to purchase stickers with your child’s name and perhaps a picture on, which you just stick onto each clothing label and away you go! The other way, and the one I do, is to write their first initial and surname in Sharpie pen onto the inside of each item of clothing. It never washes off and it’s really easy to spot! 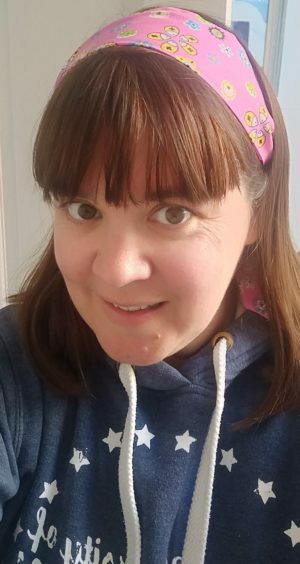 As a Head I always really appreciated it when a parent labelled the clothes this way as it makes it so much easier to quickly identify the owner’s name, rather than spending 5 minutes searching for a tiny label – especially when 10 jumpers turn up on day 1!! Uniform can be really expensive, but there are a number of uniform hacks you can use that will keep your little one’s clothing looking good for many months! Never underestimate the power of a school website! 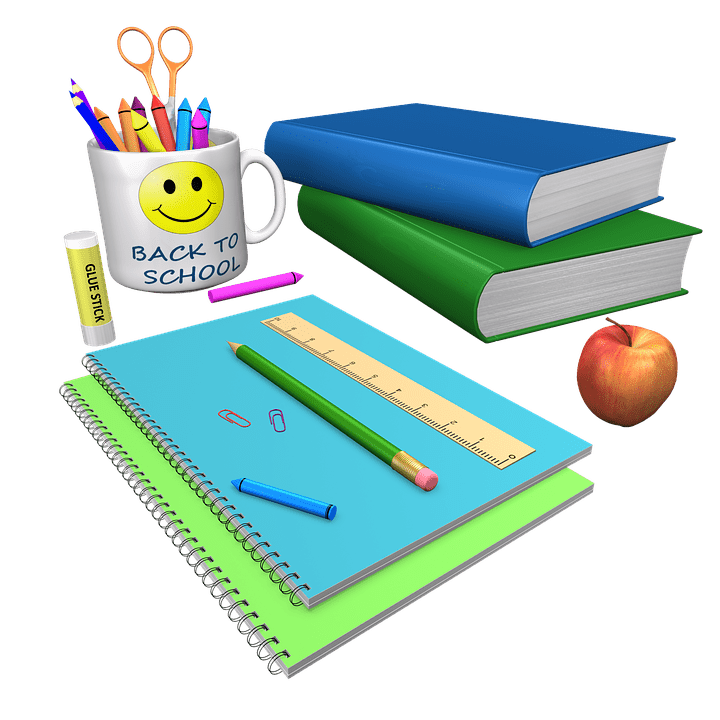 All schools are required to have a school website and there is certain information that they must display on it which includes; the curriculum year by year, staff, what wraparound care they provide, dates and more. Most schools also publish their newsletter on their websites (in fact several school have moved away from paper copies and only do e-copies). It doesn’t hurt to spend some time searching the website, reading previous letters and looking at the information on there. School websites are a mine of information and are usually underused! In all honesty, this is all you will need for the first few weeks of your child starting school. Schools are pretty good at letting you know about reading books/trips etc as and when they come up, so try not to worry about the little things and have a wonderful summer holiday with your little ones. As long as you are organised and ready to go then September will be here before you know it and you’ll be on top of it all from day dot!